The new website of the Austrian Society of Teachers of the Alexander Technique (Gesellschaft für F.M. 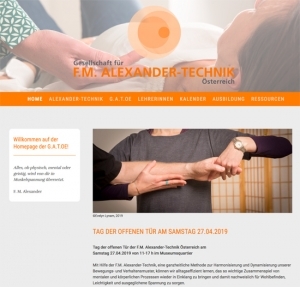 Alexander-Technik) is now online. New pictures, new functions. It is also announcing the next Alexander Technique Awareness Day, Saturday 27 April.